Taft in Eastern Samar has finally unveiled this town’s tourism wonders that the province should be proud of, said Mayor Marian Libanan. “Since we are often hit by typhoons, we don’t attract big establishments to invest in the aspect of tourism. We also want our place to be as natural as possible,” said Libanan. 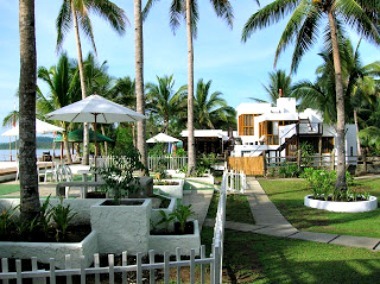 One vision of the Taft local government is to make the place an ideal ecotourism destination. Samar Island Natural Park (SINP) is located in this town, where the last Philippine eagle was seen and is preserved until now. “Our town has a lot to offer to our tourists. We have many beaches, virgin forests, caves, waterfalls, islets, mountains, and other tourist attractions that we can boast and share,” Libanan said. Beaches are the most visited spots where people go to relax and just enjoy their vacation. Beach vacationists could come to Katrina Beach Resort, Ledemil Beach and Balbaboco Beach. One of the most visited is the Dangkalan Beach Resort where tourists enjoy the long stretch of exhilarating orange-sand beach, swimming pools, and amusing park. Taft also boasts of its two-century-old Spanish Vintage Barrio Church located in Mantang village,the historical church built during the Spanish regime. Also, the longest underwater cave in Southeast Asia located in San Pablo village is a terrific place of adventure. Canadian scientists have gone two kilometers examining the cave and tracing the end point, but are not able to reach it yet. Most spelunkers are foreigners because Taft natives rarely go to the cave and only for the purpose of getting water because oxygen and scuba gears are needed in going to the cave. According to Libanan, the underwater cave is still in the process of development. That’s why they are paying more attention on tourism so that not only foreigners could benefit from the natural treasures of the area, but also their compatriots. Beauty and charm in the underworld is also experienced in the Maysuwa Cave in San Rafael village. It is more often visited than the underwater cave because it is just 600 meters long. Some tourists also visit the beautiful silent Pal-og Lake in Dacul village as well as the Mariana’s peak in the Bacong Mountains which are open to hikers and bikers and those outdoor enthusiasts. While for island hoppers, tourists come to the white sand Pacific paradise of Makati Island which is about 18 minutes of boat travel from the town center. Nature trekking is also possible in the virgin forest on the way to Maharlika waterfalls which is a must-visit amazing cascade and a perfect place to beat the heat this summer. Tourists also come to Taft to see the U-shaped small tunnel and historical Japanese foxhole which, according to records, was the last stand of Japanese armies during the World War II. There are many tourists visiting the place. The government’s only concern is the rough road while traveling, but LGU hopes that road reconstructions will be finished by 2016. Taft LGU also secures tourists’ safety by training people to be rescuers. “We are taking the responsibility of protecting our visitors, not just LGU but our whole community as well. We want our visitors to have a good experience so we try our best not to let them harmed,” Libanan assured. “I feel excited how Eastern Samar will slowly be a tourist attraction. We will be known not only because of being a typhoon-devastated province, but also being a good place possessing natural beauty,” she added. Another reason why the local government is focusing on tourism is because residents need additional income since most of them rely on coconut farming, disrupted by typhoons. The LGU sees tourism as a tool in helping the place and people, so they invite everyone to discover the natural beauty of the town and experience lifetime adventure – “TAFTastic” adventure. “Life is an adventure after all,” the lady mayor shared.